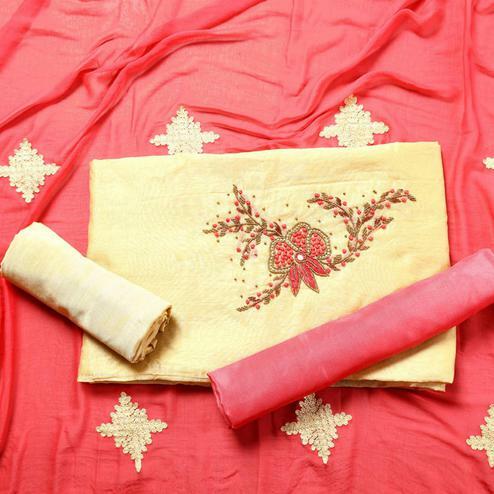 Peachmode has a massive collection of pretty cream color salwar suits. 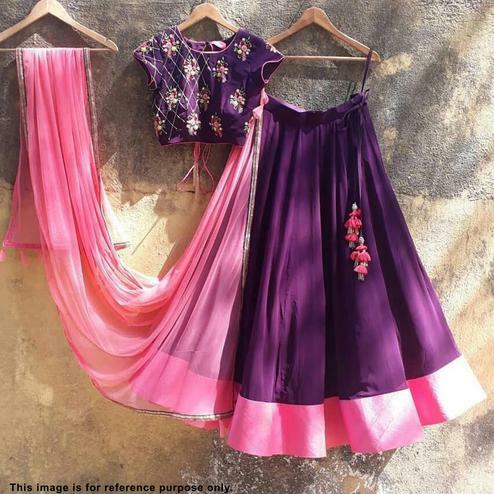 These salwar suits are crafted keeping in mind latest fashion trends and are assorted in all sorts of categories for you- casual wear, daily wear, office wear, party wear and for festive occasions and functions. Cream is a very calming and relaxing color. 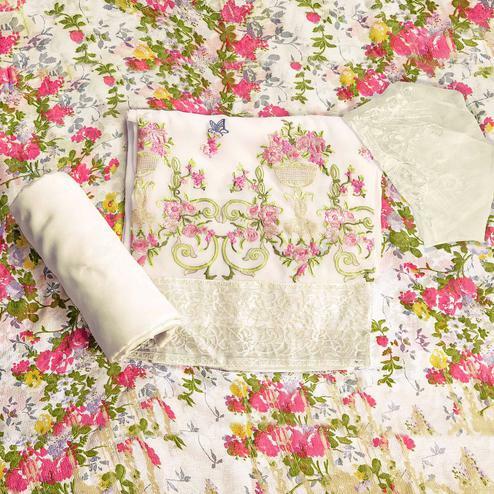 This neutral color is often the preferred choice as a base color or used in backdrops against bright vivid colors. 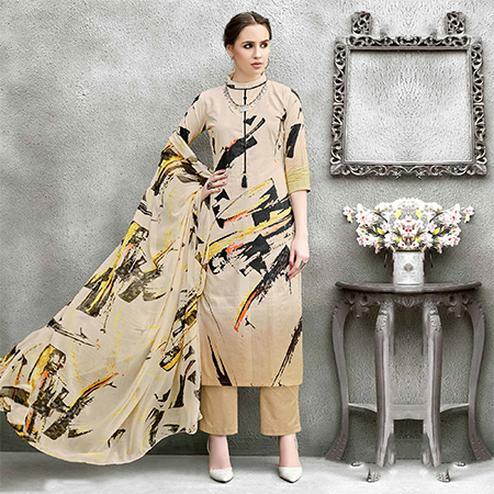 Due to this color’s soft and relaxing attribute, cream colored salwar kameez are usually a hot pick during summers as they have an amazing cooling effect on the body and are very soothing to the eyes. 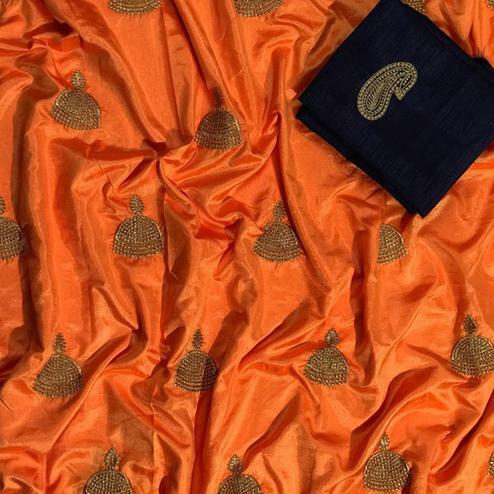 Done aesthetically on an array of fabrics like Chanderi silk, Banarasi silk, malbari silk, uppada silk, Chanderi cotton, georgette, faux georgette, georgette satin, pure cotton, muslin cotton, rayon, modal fabric, crepe, leon and the likes, these salwar suit materials come in unstitched and semi-stitched variations. Not only do they look classy and elegant, they also always personify simplicity with subliminal grace. 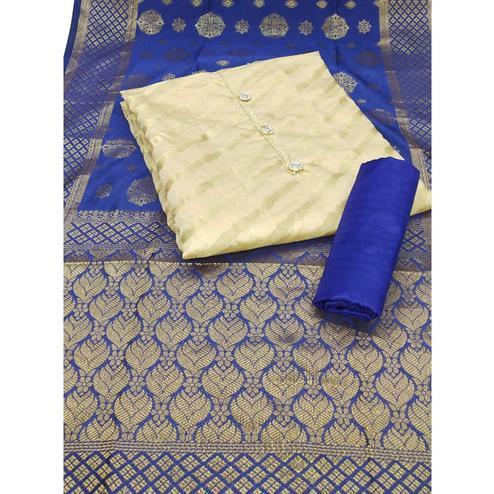 At Peachmode, designs on these quality checked fabrics are done with utmost perfection and finesse. 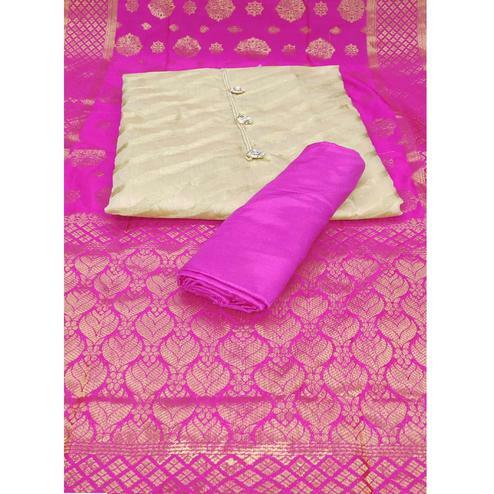 So you can without a doubt choose from this extensive range of designs that include floral embroidery, floral motifs, diamond work, handwork, hand embroidery, zari embroidery, abstract prints, digital prints and many more enticing patterns. 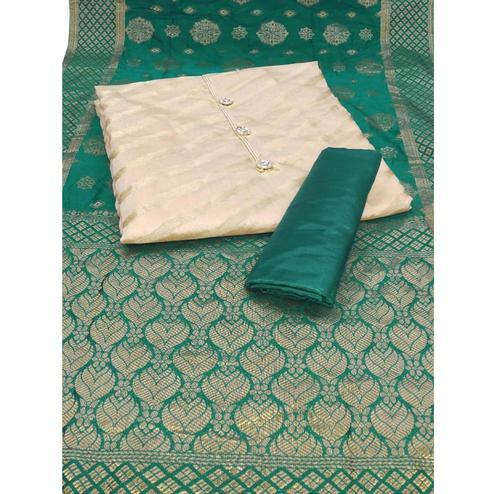 These cream colored suits come with vivid combinations of colors- blue, navy blue, pink, green, maroon, red, olive green, sky blue- each one enhancing the material even more! 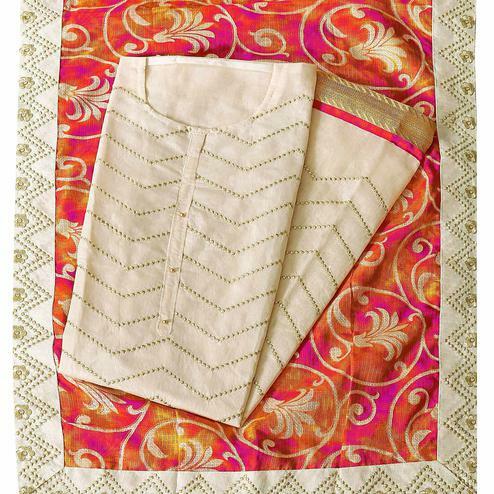 Our cream color Punjabi suit combinations with Patiala bottoms are a treat to the eyes and you should definitely plan on having one of those in your closets! 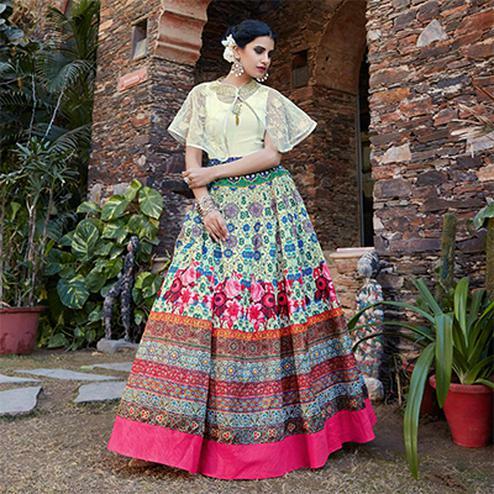 Other mesmerizing pattern styles that you should try are our anarkali suits which are the definition of grace. 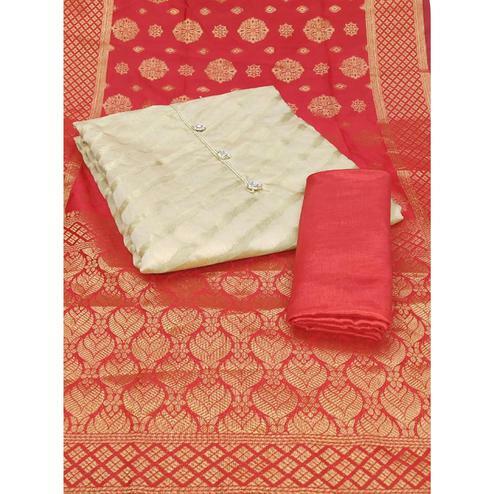 We also have a lovely assemblage of designer suits in cream color. 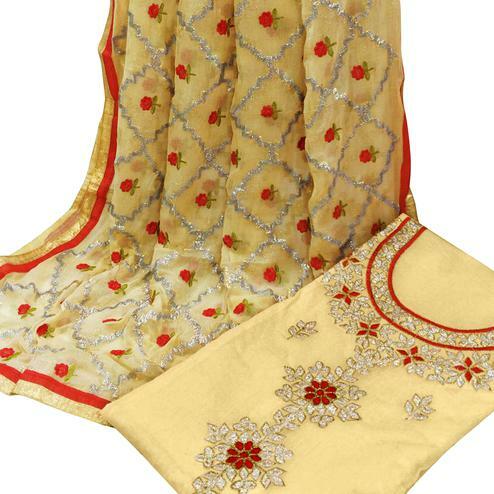 All our suits come with complementing dupattas in varieties like chiffon, embroidery, bordered lace and attractive nets. 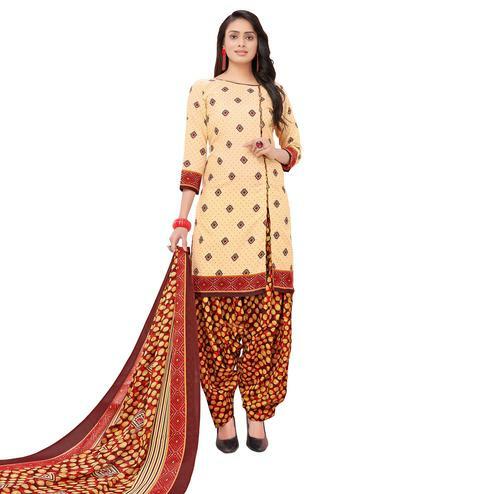 So hurry and fill your shopping cart with these gorgeous salwar suits from Peachmode. 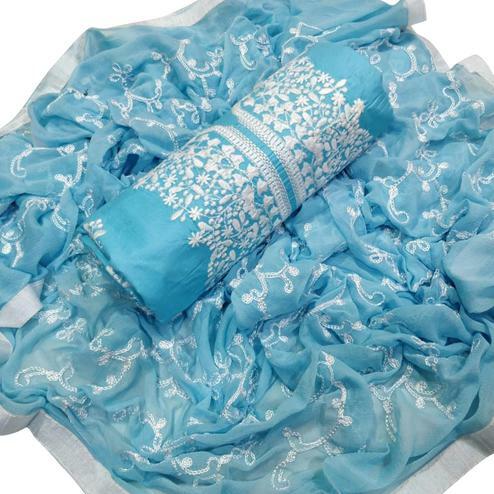 Buy them for yourself or gift them to your loved ones- you’ll get lovely compliments always!